Saturday before Thanksgiving. We feature loacl crafters, artisans, vendors, Pictures with Santa, a kids holiday shoppe and so much more! Come shop our huge variety of crafters, makers, direct sales representatives, and small businesses! The Trebein Holiday Bazaar is November 17 from 9-3. While you are shopping, be sure to bring your kiddos along to do some shopping of their own. Our kids Holiday Shop is open from 9-2 so be sure to send them with some money and a list of people they need to buy for. Also, Santa will be available for pictures from 9:30-1:30, so be sure to bring a camera. See you there! 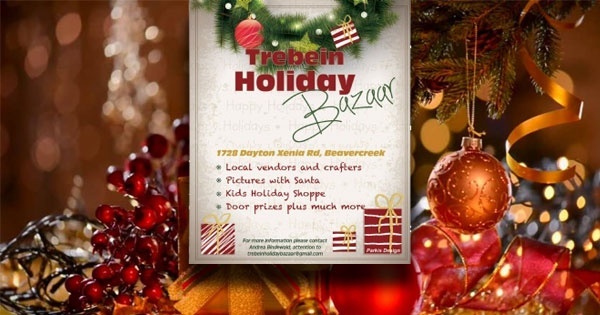 Find more events like "Trebein Holiday Bazaar"